Hey I'm just wondering how many godly bt drops do you guys have we have 6 at the moment: Godly riposte ring, Godly rupture ring, Godly sharpshot ability ring, godly natures breath, godly quickstrike, and this ammy. Last edited by KaiserXero on Tue Mar 05, 2019 1:49 am, edited 4 times in total. I believe we only have 7 on Gwydion. 4 charms, 1 necklace, and 2 recast rings. 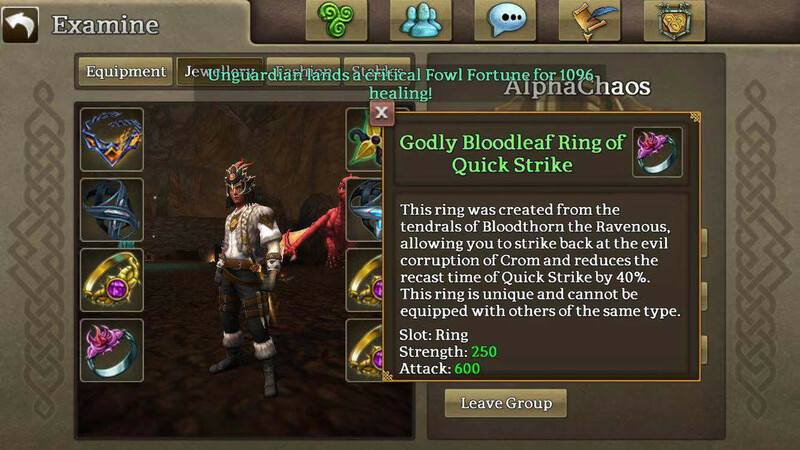 KaiserXero wrote: Hey I'm just wondering how many godly bt drops do you guys have we have 3 at the moment: Godly riposte ring, Godly rupture ring and this ammy. 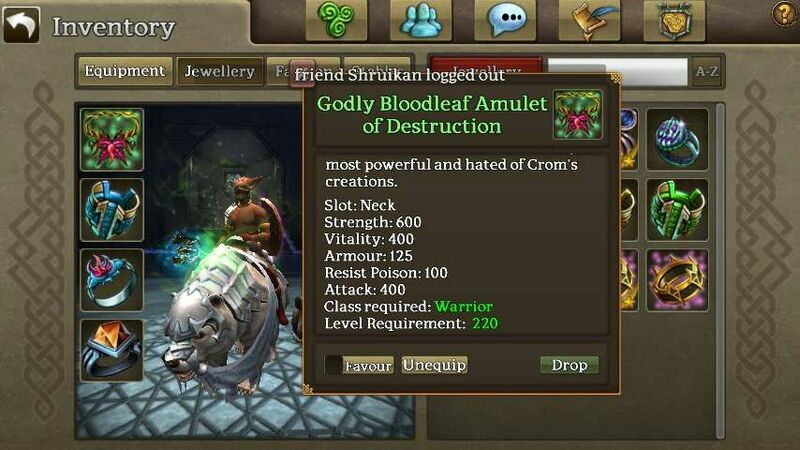 I dunno on Arawn but wow man that's a nice ammy right there! bob the mage wrote: I believe we only have 7 on Gwydion. 4 charms, 1 necklace, and 2 recast charms. After like 80 kills in morrigan we only have 2 godly items. Ice misc and a lighting strike ring. Good godlies are fake news except on Nuada and Epona. I’ve submitted tons of feedback to VR on this only to be made fun of. The only reason not to improve the loot tables is because there is not any new content coming out in the next 18 months and this is supposed to keep us grinding for the next 5 years. Thanks for reminding me about that ring I forgot about it lol.